Restrictions: Phone and Online Service Fees will be applied at checkout. Subject to availability. Not valid on prior purchase. Offer cannot be combined with other discounts or promotions. Additional blackout dates and restrictions may apply. No refunds or exchanges. Offer may be revoked at any time. EXTENDED AGAIN BY POPULAR DEMAND! Oh, the (Cards Against) Humanity! Relationships are tested, sadness is buried, and lives are destroyed on a quiet country estate bathed in family “dramedy” and alcohol-induced hijinks. Springing from a deeply empathetic reading of Chekhov’s classic, Drunkle Vanya tells the juicy story of lost youth and unrequited love as if it were suspended in time between then and now. Three Day Hangover mixes modern references and Chekhov’s language to bring the audience up close and personal for “shots” of all kinds. **Customize your ticket "class" and enjoy the perks that come with it. Dine like the Imperial Family where you’ll enjoy a feast of fine foods and an open bar. Live it up as a member of the Aristocracy while enjoying a selection of Russian delicacies and house made infused vodka. Enjoy a shot and a pierogi as a member of the Bourgeoisie, or save your rubles and sit with the other Proletariat by the bar. Hell Yeah! Not sure because I'm no fun! 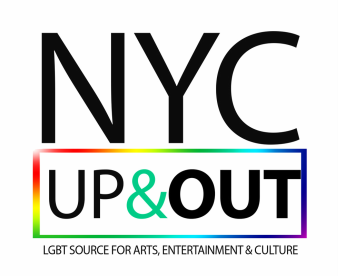 NYC Up and out - YOUR WHAT, WHEN & WHERE FOR lgbtq EVENTS IN nyc! Gay Pride happens everyday in NYC with new and exciting events popping up daily. We've designed this website specifically to provide the LGBTQ community with a convenient way to receive information about events and activities that are entertaining, useful, and relevant to the diversity of the gay community in New York. We hope that this becomes a regular stop for not only events but also a site that provides you with a handy directory to community organizations and relevant government offices. Bookmark us and FOLLOW us on social media, make us a regular stop so that we can give you all that you need to get up & OUT!! !